Are you searching for the ways to avoid being jobless? 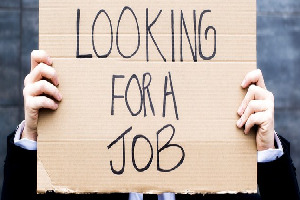 The state of being jobless or being unemployed is increasing day by day in India and reasons behind this are many. As everyone is seeking to have education, thousands of graduates are coming out every year and only few of them get succeeded in getting a dream job. In today's booming technology, jobs are clearly biased towards only those who have advanced skills and advanced degrees like masters degree or more than that. Most of the graduates are staying jobless despite attending many interviews, because they don't know what exactly is needed in the job market. It may not be easy to get a job but also it is not impossible to avoid being jobless. Leadership is the one that makes you confident enough and makes you be an optimistic initiative taker. It is very important that one has to take the ownership of whatever job they do and they have to feel that its my job. Most of companies try to lay off people quickly who feel its not my job. Taking initiative makes you work harder and have more stress. This is the reason why most of employees hesitate to take the initiative, but taking initiative is also one of the main reasons to hold a job for longer time. A person with good Interpersonal skills and good leadership qualities will always be a step ahead from other employees. Being flexible will always help you to learn new things and grow better in your career. There is no constraint for learning, so be a lifetime leaner as this helps you to keep yourself updated with latest technologies and new trends to work more effectively. Getting enough exposure to technologies will help to find better ways in making your job successful. Start immediately as it is delusional to avoid being an early adopter today and think you will become an early adopter in the future. If one can adapt the above mentioned points, then it will be very easy to carry out a job successfully for long time. 0 Comments on Are you searching for the ways to avoid being jobless?